LETO is developed in an Integrative Product Design class in 2018. The goal is to design and produce a product or tool to be used with one hand, that enables people to perform routine daily tasks that otherwise would require two sides. LETO is a one-handed trash system that helps to reduce “ick” factors. 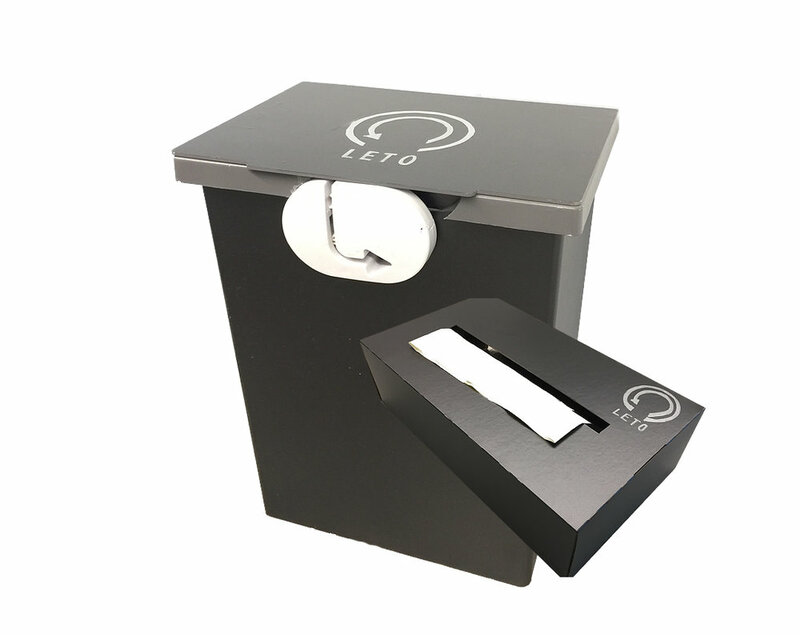 The LETO trash system pairs a standard trash can that has been improved by the addition of a bag sealer, bag hooks, overfill indicator, and a dirt-resistant finish with a convenient subscription of garbage bags with a springy elasticized rim. The team includes one product designer, two MBAs, and one UIUX designer. As the product designer, I was involved in the market research, design and manufacturing of the product. We thoroughly studied products in the market and also compared the pros and cons. We want to design a product that is convenient enough, even people with two hands would want to use them. During the brainstorming, I proposed an activity in which teammates were brainstorming by making. Each teammate built upon the other’s prototype to develop the product. After laying out the problem areas in a matrix chart, the team decided to focus on activities with lots of steps. We then developed concept sketches with four different ideas.